Down"! It is part of the bigger program "Stand Down" that helps homeless veterans and their families! 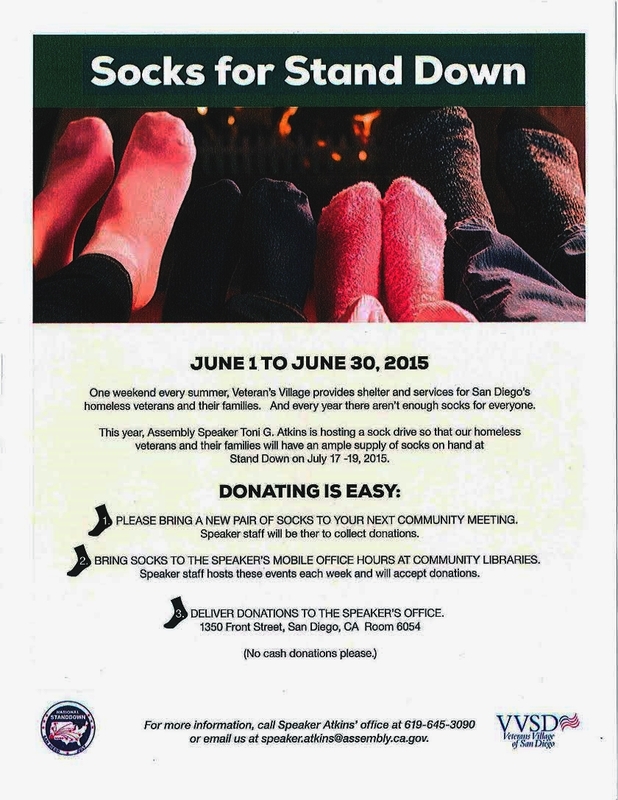 Assembly Speaker Toni Atkins will also be collecting socks for the program when she visits the Imperial Beach Library May 28th from 5 to 6pm.